Looking for Christmas kids crafts to do with the kids this holiday season? Now that the holidays are here, its also time to find easy crafts for the kids. After all, Christmas crafts are what they love doing during the holiday, and you enjoy displaying them around the house as your holiday decor! How do you have your kids help out with holiday decorations? I love to use my daughter’s crafts and let them double as Christmas decor. Christmas kids crafts are perfect for winter break too! 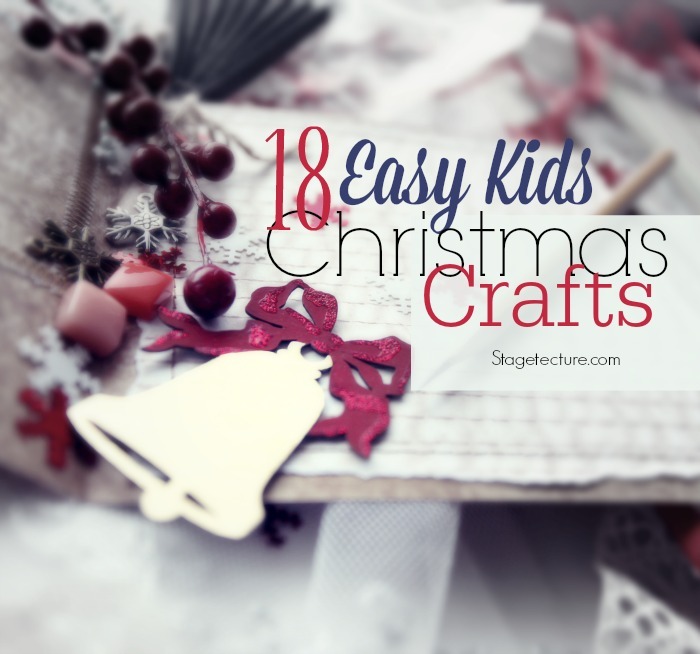 Help them not get bored even after Christmas is over, these kids crafts are great ideas. Take a look at these kids crafts and our blogger friends who have a good selection of crafts that you will enjoy giving to your kids, and will enjoy bringing them out for years to come… even more! It’s the kids who will be doing the nibbling when these sweet mice are around. A combination of two Christmas icons — mice and candy canes — these tiny fabric creatures, with their red-and-white-striped tails, make fitting favors at a holiday dinner or delightful gifts for children to give to friends and relatives. How to make craft. Need a fun, easy-to-make project that will keep the kids busy? All you need to create these ornaments are wire cutters, needle-nose pliers (both for adults’ use only), and pipe cleaners. They make great gifts for teachers, to adorn presents, or to hang from your tree. How to make craft. Hanging old toys on the Christmas tree spreads joy: Mom will be pleased to have less clutter, and the toys will be happy to be rescued from their dusty corners. Ask the children to help pick which toys to transform. To hang, use needle and embroidery thread to stitch through soft toys, insert screw eyes into wooden toys, or wind embroidery thread through an opening or around a narrow part of the toy. Enjoy your holiday season, with crafts your kids will love to make and cherish for the future! For more Christmas ideas on Stagetecture, click here.